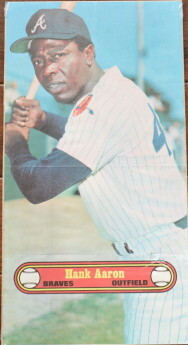 The 1972 Topps Posters were issued as a separate Set rather than inserted into wax packs. The posters measure approx. 9-7/16" x 18" and printed on very thin paper. 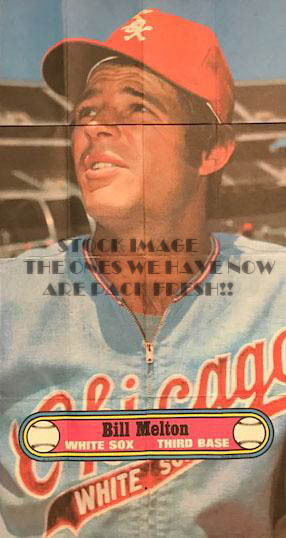 The Posters were folded for packaging causing creases. These are in exceptionally good condition, and rather difficult to find in any condition.